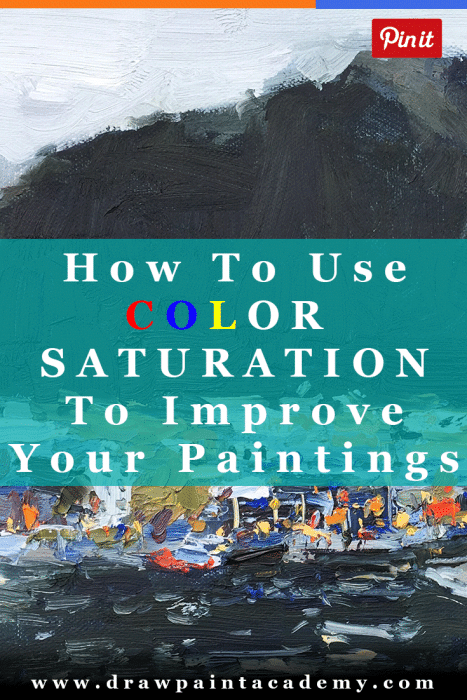 An amazing technique for drawing attention to your focal point is to use increased color saturation to contrast against areas of more muted colors. This was a fairly gloomy painting with mostly muted colors. But this presents a perfect opportunity to draw the viewer towards the focal point using small areas of saturated colors. You can see all those beautiful reds, yellows and blues in almost full saturation. 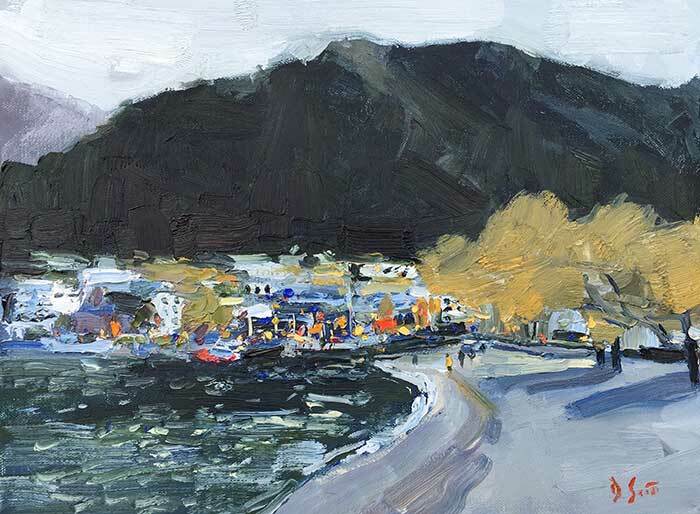 This creates a sharp contrast against the muted colors in the rest of the painting and really draws you in towards this area. The small areas of saturated colors also create the illusion of increased activity and movement. It just looks like there is more going on in this area. 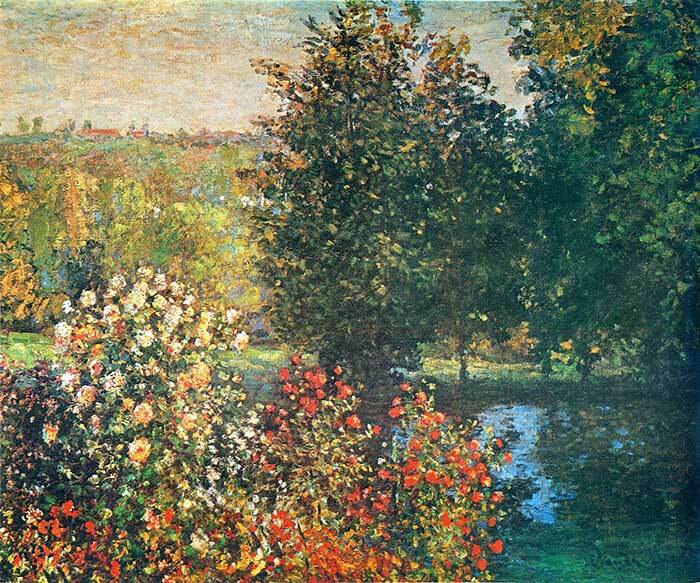 In the painting below by Claude Monet you are drawn towards the flowers in the foreground which have a beautiful color saturation compared to the rest of the painting. When you look closely at the flowers in the foreground, you will see all sorts of saturated colors such as reds, oranges, yellows, greens and blues. This creates a very vibrant area of color which contrasts nicely against the rest of the painting. Many of the great Russian impressionists were masters of using small areas of increased color saturation to attract your attention. 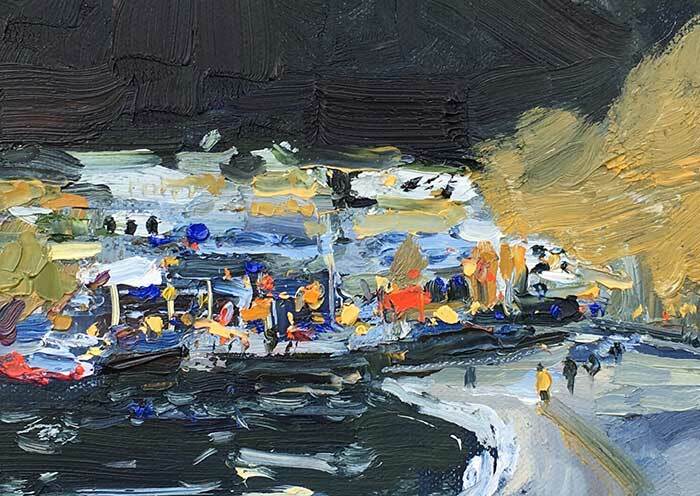 Bato Dugarzhapov is one artist that comes to mind.